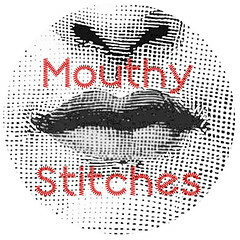 Susan over at Canadian Abroad is having a giveaway to celebrate her Blogiversary - 351 posts in 365 days - she's certainly a Mouthy Stitcher! One of the newest blogs I have enjoyed reading is by Nat who blogs at Noas' Libellule. I first started reading this blog because Nat sometimes writes in French - and as I am still trying to learn French then I thought it would be more interesting than my boring Hugo French book! Nat is very talented with yarn of all sorts. 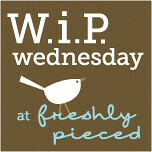 She currently has some guest bloggers talking about what blogging means to them and her very thoughtfull giveaway is linked to this theme - so pop over and say hi or bonjour from me......and you can find out what this is! 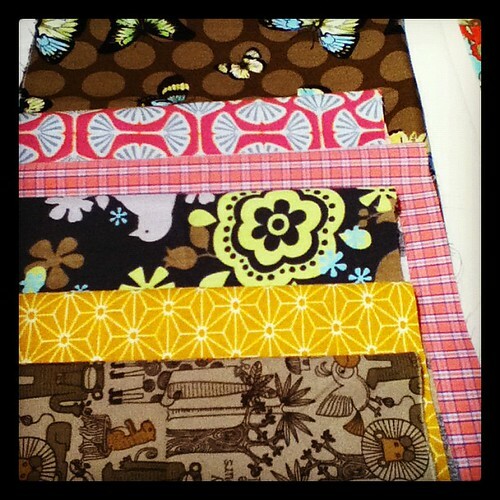 I also did a mini fabric swap with Nat - we were going to swap scraps....but neither of us had any! Here is the lovely fabric she sent me - don't you just love the monkey? 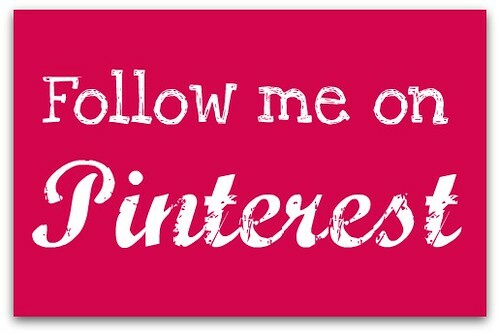 Catching up on my blog reading, glad you like the fabrics! Is it a bagette warmer or transporter? What?